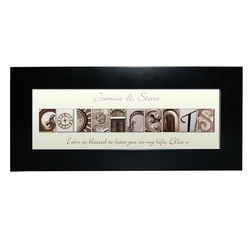 The image is made up of different architectural images to display the word Godparents. 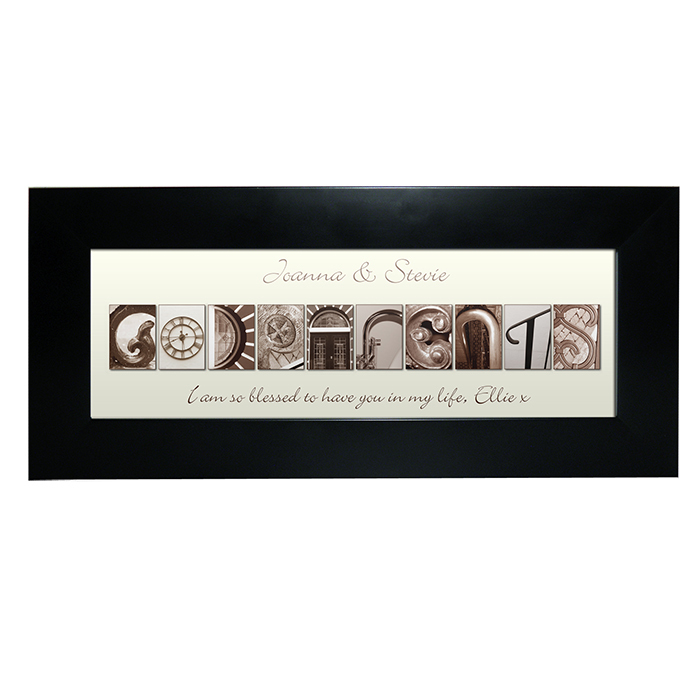 The artwork can also be personalised with any message above the image up to 50 characters and a message below the image up to 50 characters. Ideal for Christenings, Baptisms, Birthdays.